President Uhuru Kenyatta cannot go anywhere these days without being asked about who he would like to be his successor. Although he is only a year in to his second term, the Kenyan media is full of stories of rifts within his government as rival leaders jockey for position. To some extent this is nothing new. Ever since Kenyatta and William Ruto – the current Deputy President – entered into the negotiations in the late 2000s that would lead to the formation of the Jubilee Alliance, commentators have been predicting the breakdown of their relationship. True to form, though, the president has been keeping his cards very close to his chest. When Kenyatta and Ruto joined forces in the wake of the Kenya crisis – the flawed election of 2007 and its aftermath – it was widely interpreted as a marriage of convenience. Under threat of prosecution by the International Criminal Court for the part that they played in the post-election violence, the two leaders worked together to protect themselves and their allies. One part of this strategy was to block domestic prosecutions on a range of issues including corruption. Another was to secure power in the 2013 general elections by forming a common political vehicle, and then to use their control of the state to effectively undermine the ICC investigation. Unsurprisingly, the underpinning logic of the Jubilee Alliance led many to question its longevity. The poor relations between Kenyatta’s Kikuyu community and Ruto’s Kalenjin community – which were involved in some of the worst ethnic clashes of 2008 – meant that the Alliance has always rested on shaky foundations. Without always saying so in public, a number of prominent Kenyatta allies have made it clear that they see the relationship with Ruto as a necessary evil rather than a binding promise. Not only do they blame the Kalenjin leader for bringing the country to the brink of civil war in 2007/8, but they do not believe that he is the right kind of leader from the right kind of background to rule the country. The cleavage between the Ruto and Kenyatta camps is therefore rooted in both ethnicity and class. Given this, and country’s history of short-lived and fractious coalitions, there were good grounds to think that the two men would go their separate ways once the threat of the ICC receded. Taken together, these considerations led to a constant stream of speculation that at some point or another Ruto’s critics within the Kenyatta camp would try to throw the Deputy President “under the bus”. What these forecasts tended to overlook were the personal and strategic motivations that bound Ruto and Kenyatta together. On the one hand, Kenyatta depended on Ruto and his United Republican Party (URP) to maintain a majority in the legislature and control over a majority of county governments. On the other hand, Kenyatta is known to be loyal to those close to him – sometimes to a fault – and the two men have a long history, having worked together closely on Kenyatta’s unsuccessful presidential campaign as the candidate of the Kenya African National Union (KANU) in 2002. As a result, the UhuRuto project has proved to be much more stable than many people predicted. Not only did the two men manage to sustain their relationship into the 2017 general elections, but the Jubilee Alliance was turned from a loose coalition into a more streamlined and efficient political party. During the campaign, Kenyatta’s rallies even celebrated Ruto as the party’s next presidential candidate. But now that the succession race has moved in to top gear, that glue that has so far held the two leaders together has started to break down. There are three main drivers of this. First, Ruto is determined to make good on Kenyatta’s pledge to facilitate his rise to the presidency in return for his support in 2013 and 2017. With less resources than those who seek to block his way, he has set out to make up for his disadvantage by pushing his supporters into party positions where they can look out for his interests and raise funds for his campaign. In turn, this has generated greater tensions around cabinet appointments and other positions, whose distribution is viewed not through the lens of the public good but the balance of power heading into the next campaign. Second, Kenyatta has expanded his options in a way that has made Ruto more vulnerable. By bringing on board Gideon Moi – son of second president Daniel arap Moi – ahead of the 2017 elections, and subsequently making peace with the country’s most prominent opposition leader, Raila Odinga, in the wake of the poll dispute, Kenyatta has created a route through which the Kikuyu clique within Jubilee could win the election without Ruto. Most obviously, while ethnicity does not completely determine political behaviour in Kenya, a combination of the Kikuyu (Kenyatta), Luo (Odinga) and Kalenjin (Moi) communities would represent a powerful voting bloc, especially if it could retain support in parts of the country like the former North-Eastern province. Unsurprisingly, this has unsettled the Deputy President. At present, Kenyatta’s government still relies on Ruto to deliver support at the legislative and county levels. But this imperative reduces exponentially as the country gets closer to the 2021 election: at the point when the legislative agenda grinds to a halt ahead of the next campaign it will not just be the president that is a lame duck. Following the collapse of the ICC cases, the longer into the parliamentary term we get the more Ruto’s future within Jubilee will depend on Kenyatta’s good will. Of course, Murathe’s statement only tells half the story. In reality, Ruto’s rivals within the government are more concerned about his energy, focus, and organizational, acumen than the Kenyatta’s policy agenda. The threat of losing access to power is a much more serious than losing the fight against corruption, which is only being waged in a half-hearted manner in any case. That said, there is some evidence that Kenyatta himself is genuinely annoyed. Having rarely commented on the consistent sniping between the members of the two camps, the president recently appeared to criticise Ruto when he quipped disparagingly about the Deputy President’s kutangatanga (“roaming”). Given that power is so much more weighty than policy in Kenyan political considerations, there are two plausible interpretations of this. The first is that the president has taken it as a personal sleight that Ruto did not heed his request to desist campaigning, and wanted this to be known. The second is that Kenyatta plans to withdraw his support from Ruto’s bid for the presidency, and does not want him to be able to use his position to secure an advantage over others. However, as has been so often the case over the last few years, Kenyatta has not said enough for anybody to be able to fully read his intentions one way or another. “We have ethnic nationalists and people who are exclusionary in their viewpoints. They may want certain hegemony to be maintained and I think I foresee a situation where some people want to perpetuate a certain supremacy, which is not good”. It is possible that this war of words will continue to escalate until a point where the cold war within the government becomes so hot that the government falls apart. One development that could trigger this process is the president’s anti-corruption drive, which some Ruto supporters have argued is deliberately being used to disadvantage the Deputy President’s allies, weakening his grip in the party. If the flow of funds dries up, Ruto will become increasingly desperate, and that could provoke a more open confrontation. A second option is that the current feud rumbles on without a clear resolution until the next election, rendering parts of the government dysfunctional, and leading to a final implosion on the eve of the next campaign. Given that Jubilee would struggle to command authority in its current form without Ruto, this seems more likely. It would also fit with what we know about the president. If Kenyatta’s history is anything to go by, he is unlikely to throw a close colleague under the bus a long time before he needs to. A much more sensible option, and one that fits better with his sense of loyalty, would be to continue to pledge his support to Ruto personally while doing little to further the Deputy President’s campaign and allowing his allies in the party to direct their funding to rival Jubilee candidates. The third option, of course, is that the president stays true to his word and not only publicly endorses Ruto but also cajoles his allies into backing him. In this context, the main question that would need to be answered would be whether or not Kenyatta has the personal authority to persuade some of the country’s most powerful individuals to do something that they don’t want to do, and which many believe is not in their interests. The balance of probabilities suggests that now that relations between the Kenyatta and Ruto camps have deteriorated to such a great extent, a small proportion of leaders and voters in Central Province may follow their leader, but many more will not. Should that comes to pass, the political system is unlikely to quickly coalesce into the two broad coalitions that have characterised the last few elections, and Kenya will be on course for one of most complex and intriguing polls that it has ever held. This entry was posted in Africa, Kenya and tagged Kenya, President Kenyatta on July 5, 2018 by Nic Cheeseman. For the past year, Kenya has been on a worrying political trajectory. Following disputed elections in August – which were nullified by the Supreme Court in September – the political system has been on an uneven keel. Having boycotted the “fresh” elections in October, opposition leader Raila Odinga refused to recognise the legitimacy of president Uhuru Kenyatta’s victory that, in the absence of his main rival, was inevitably won in a landslide. For his part, Kenyatta, having won the repeat poll and sensing that international donors had little appetite to support Odinga’s claims to power, demonstrated no inclination to compromise. Instead, government rhetoric suggested that while the president might be willing to sit down and talk to the opposition about how to achieve development, the 2017 elections, and the quality of Kenyan democracy, was off the table. This political impasse had begun to generate considerable political instability. Over 100 people died in protests and clashes relating to the election controversy, significantly increasing the political temperature. Moreover, while an opposition ceremony to swear Odinga in as the “People’s President” passed without incident once the government made the decision to remove the security forces from the streets, the aftermath of the inauguration demonstrated that this was not part of a broader process of reconciliation. Verbal attacks on judges following the nullification of the 8 August election, and continued political pressure on the judiciary to rule in favour of the government. Ignoring court orders relating to the detention and deportation of Miguna Miguna – which the High Court has now ruled was illegal. The further politicization of the media, including threats to journalists writing stories that would embarrass the government and pressure on newspapers to cancel the contracts of critical columnists. Forcing three TV stations– KTN, NTV and Citizen TV – off-air so that they could not cover Odinga’s swearing-in ceremony, and then keeping the broadcasting ban in place for almost a week. Against this backdrop, a prolonged political crisis appeared to be a genuine risk. Instead, backroom negotiations – in part spurred by the efforts by the international community to negotiate a compromise ahead of the visit of the US Secretary of State Rex Tillerson – led to an unheralded breakthrough. Following months of bitter disputes, on 9 March 2018 President Uhuru Kenyatta and Raila Odinga announced that they had made up and were now “brothers”. However, while the agreement was welcomed by many Kenyans as it promised to give rise to a period of greater political stability and cohesion, it raised as many questions as it answered. Although it is clear what President Kenyatta has gained through the deal, most notably recognition as the country’s legitimate executive and an end to opposition protests, it is unclear exactly what the deal will deliver for Raila Odinga. The agreement that has been circulated is low on details and includes no firm commitments that would bind Kenyatta’s hands when it comes to media freedom, respect for the judiciary, or even electoral reform. In turn, this has raised questions about whether the deal between Kenyatta and Odinga is based on a compromise about the reforms needed to strengthen Kenyan democracy, or represents a personal deal between the two leaders to work together to protect each other’s political interests. Those close to Kenyatta and Odinga have suggested that the agreement is rooted in their concern for their legacy and desire to avoid conflict. But a more cynical interpretation is possible, namely that one of the main gains the two men have realised by joining forces is to outmanoeuvre rival leaders from their own alliances who hope to replace them as presidential candidates come the next election in 2022. For Kenyatta, the potential of a longer-term political alliance with Odinga reduces his dependence on two of his potential successors within the Jubilee govermment – Gideon Moi and Willian Ruto. Similarly, the deal benefits Odinga by easing his reliance on Musalia Mudavadi, Kalonzo Musyoka and Moses Wetangula – three supposed allies within the National Super Alliance (NASA) who failed to turn up to support his inauguration, prompting widespread rumours that the opposition coalition had fragmented. As Kenyan political leaders begin to adjust to the latest in a long line of reconfigurations, there is only one thing that can be said for certain: further political realignments are likely, and the parties and alliances that contest the next elections will not be those that competed in the last ones. This entry was posted in Africa, Kenya and tagged Kenya, president on March 16, 2018 by Nic Cheeseman. The Supreme Court approved President Uhuru Kenyatta’s October 26 victory, but it is still too early to fully evaluate the court’s impact on the elections, and the impact of the elections on the Court. What we can do now is to look back on the role played by international election observers, who have received a great deal of criticism in Kenya. A week or so ago, I published a piece on this topic in the Washington Post with Todd Moss and Jeffrey Smith. The article was designed to continue the debate about what role international monitors should play, and how they can be strengthened. However, in the rush to edit the piece down to the required word length many important points were cut. As a result, some people have asked for more information on our argument, others have requested further elaboration on the kinds of reforms that could be introduced, and others still have complained that the analysis did not do justice to the complex challenges that observers face. In response, I shall use this column to try and set the record straight. What are observers to do? One of the main challenges for observation teams is that people tend to exaggerate their power. Ahead of the elections, many Kenyans invested considerable confidence in the ability of missions from the Carter Center and the European Union. But the rules that observers must play by, if they are not to get into trouble with both their employers and the governments whose elections they oversee, means that there is only so much they can do. Most obviously, international observers operate in foreign states at the pleasure of the host government, and so have to be particularly careful when alleging rigging. There are plenty of countries that do not allow foreign teams in – such as Zimbabwe, from where I am writing – and so observers must protect their reputation in order to maintain access. As a result, monitors often find it difficult to make strong statements when they suspect foul play but cannot prove it. This situation held in Kenya following the election of August 8, when the opposition quickly pointed to missing forms and electronic irregularities as evidence of rigging, but hard evidence of exactly how many votes had been added or lost was not available. The Supreme Court interpreted the failure of the Independent Electoral and Boundaries Commission (IEBC) to provide information and access to its servers to imply malpractice, even though it lacked concrete evidence of the extent of rigging. This was an assumption that the Carter Center and the European Union were simply not in a position to make. Similarly, it is not well-known that observers have no right to directly intervene in elections, even to stop abuses that they directly witness. Instead, they are supposed to record and report malpractice – leaving intervention to domestic institutions such as the electoral commission and the police. This is a particularly weak position when we factor in that observers have no power of enforcement – they can make recommendations in their reports, but they have no financial or judicial leverage with which to ensure they are acted upon. That role falls to domestic civil society and international donors. As a result, there is a significant discrepancy between the hope and faith that opposition parties place in international observers and their capacity to deliver. What did observers do well? Many people have been left with the impression that the teams from the European Union and the Carter Center let the Kenyan people down in 2017, not because they were worse than any other groups, but because people expected more from them. Most of the times that I have heard this argument rolled out, it has rested on three foundations. The first is that observers did not condemn the August 8 elections, whereas the Supreme Court did. The second is that observers did not do their job properly because they stayed in Nairobi, did some shopping, and then went back to their comfortable jobs in Europe and North America. The third is that observers always do the same thing, letting the bad guys off the hook. I have already explained why the first criticism misunderstands the power and role of international election observation. The second criticism is also misguided. The better and more thorough international missions, such as the Carter Center and the European Union, have a long-term component, placing observers in the country months ahead of the polls. They also hire political experts who understand the country’s political history and can explain the context of the elections and the ways in which they tend to be rigged. It is also incorrect to suggest that observers do not travel outside of the capital city. Almost all monitoring teams locate their staff in polling stations across the country in a reasonably representative way, and so can report on both the rural and urban experience. The notion that international observers always do the same thing is also clearly false. Kenyans only have to think back to 2007, when it was the European Union that called into question President Mwai Kibaki’s victory, citing figures from the Molo and Kieni constituencies. It is also clear that international teams also adapted their approach in 2017, with both the Carter Center and the European Union making strong statements ahead of the “fresh” election on October 26. These raised concerns about the lack of reforms within the electoral commission and the treatment of the Judiciary, and made it clear that the election was unlikely to be credible. Thus, while the 2017 elections highlight a number of problems with the system of selection observation, I see most of these as relating to the way election observation works, rather than the people who do it and the decisions that they make. We now face the question of how election observation can be improved. We need to do this for two reasons. On the one hand, a survey conducted by Ipsos Kenya in mid October 2017 found that a majority (59 per cent) of Kenyans want international observers to monitor future elections. On the other hand, half of all respondents in the same survey agreed that “they make no difference when it comes to stealing votes”. Thus, while observers are clearly needed, their reputation needs to be strengthened. How can this be done? One obvious point is that observers can do a better job of communicating the limits to their powers. But they cannot do this alone – the media, and the way in which observers statements are reported, is also a problem. During the 2017 elections in Kenya, a number of observer reports that highlighted positive and negative aspects of the polls were reported as having given the process a “clean bill of health”. However, while good Public Relations is important it will not be enough. The role of observers also needs to be bolstered. The first is to change the burden of proof, so that monitors can ask governments to demonstrate that processes are robust and transparent when they have concerns – even if these have not been proven. A second related change would be to have much stronger pre-electoral statements that flag up issues of concern and highlight key challenges in a much stronger way than tends to occur at present. Of course, one implication of this more tough approach is that in some cases observers may be asked to leave, or not be invited back – but this might not be such a bad thing. If being present at an election means legitimising a deeply problematic process, staying away may be better. International monitors could also take longer to issue their first post-election statements. We know that in many cases election day looks great and the problems emerge halfway through the counting process. It therefore makes sense to leave any statement until the counting is near complete – and to go to greater lengths to stress that any comments made at this stage are preliminary and must not be taken or reported as a final evaluation of the quality of the polls. All of these reforms would represent small but significant improvements, but they will count for little if observers do not have the funding, skills and experience needed to actually detect electoral fraud. At present, they are managed by good people with considerable experience. But they are also operating in a rather old-fashioned way. As is traditional, the European Union team placed people in polling stations across the country. Academic research suggests that this has the effect of reducing election rigging in the polling stations in which observers are present, but that this has little impact on the quality of the overall rigging because the malpractice is simply moved elsewhere. A better use of these staff positions would therefore be to establish a high quality team that can interrogate the electoral register and voting and counting process. In 2017, the European Union had a data analyst as part of the team, but not a set of experts on biometric technology and digital electoral processes. Yet most of the problems with the election related to the transmission of forms, and the need to evaluate claims of hacking and the fabrication of results. The implication is clear: Detecting rigging in the future will require monitors to adapt. As elections change, so must election observers. This entry was posted in Africa, Kenya and tagged Kenya, presidential election on November 30, 2017 by Robert Elgie. President Uhuru Kenyatta has won two elections this year, but is still struggling to prove his legitimacy. In the first election, contested on 8 August, he received 54% of the vote according to the country’s Independent Electoral and Boundaries Commission (IEBC). However, that result was later nullified by the Supreme Court on the basis of significant procedural failures, necessitating a “fresh” election within 60 days. In that contest, fought on 26 October, Kenyatta won again, this time securing over 98% of the vote. But despite securing a landslide victory, his political authority has once again been brought into question. The reason for Kenyatta’s vast majority was that his main rival, Raila Odinga, pulled out of the contest in advance. While Odinga’s name remained on the ballot paper, the opposition leader asked his supporters to stay at home, arguing that the election had no prospect of being more free and fair than the first. Although some criticised Odinga for bringing a petition to the Supreme Court demanding a fresh election and then failing to contest it, this strategy was largely successful: supporters of his National Super Alliance (NASA) largely stayed at home, resulting in a significantly lower turnout of 39%, less than half that of the first poll (80%). In a small number of places, most notably in Odinga’s Nyanza heartlands, protests by opposition supporters prevented polling stations from being opened at all. Odinga’s complaints were dismissed by government leaders who alleged that his decision not to contest was a desperate attempt to save face, motivated by the knowledge that he was destined for defeat. This was backed up by a number of defections of his former allies to the ruling party, including Odinga’s point-person in the vote rich Rift Valley region, Isaac Ruto. However, the opposition’s concerns were leant credibility by the decision of one of the IEBC Commissioners, Roselyn Akombe, to resign citing a lack of progress towards improving the electoral process. Having fled to the United States, Akome gave a series of interviews in which she argued that the political context in Kenya would not allow for a credible poll. These statements were then followed by a worrying press conference held by the Chair of the Commission, Wafula Chebukati, who admitted that political interference within the IEBC had blocked a number of important reforms. In the days that followed, rumours spread that Chebukati was about to resign, making it impossible to hold the poll. In the event, this did not happen, but the damage to the credibility of the Commission had been done. Because the election of 26 October did not take place in all in all 290 constituencies – as required by the constitution – and as a result of the serious doubts about the competence and neutrality of the IEBC, Kenyatta’s victory has already been called into question by the opposition. And while Odinga has said they he will not be bringing another petition – arguing that the whole process has lost credibility – others already have. Consequently, Kenya is heading back to the Supreme Court. These claims will resonate with Kenyatta’s supporters, but are likely to fall on deaf ears in opposition areas. For their part, the Courts now face another difficult decision. It is clear now that nullifying the result of the vote on 8 August did little to resolve the country’s political crisis; but it will be hard to make the argument that the “repeat” election represented a significant improvement than the first. This entry was posted in Africa, Kenya and tagged Kenya, presidential election on November 2, 2017 by Nic Cheeseman. The Supreme Court’s decision to nullify the result of the 8 August presidential elections, and hence the re-election of President Uhuru Kenyatta, has sent Kenya into a state of electoral limbo. What happens in the next three weeks will not only define President Kenyatta’s tenure, but will shape the process of democratic consolidation more broadly. Following a tightly fought campaign, early results appeared to show that Kenyatta had secured a comfortable first round victory with 54% of the vote. However, the opposition National Super Alliance (NASA) immediately rejected the results, claiming that the election had been “hacked” and that in reality their candidate, Raila Odinga, had been victorious. Although the opposition’s complaints inspired some protests in its heartlands – leading to a violent crack down by the security forces that culminated in over 50 deaths – they failed to force a re-think on the part of either the Independent Electoral and Boundaries Commission (IEBC) or international election observers, who largely endorsed the process. As a result, it was unsurprising when Odinga announced that he intended to appeal against the election results at the Supreme Court. Evidence in favour of the opposition’s allegations included the fact that many of the results forms from the polling station level that are supposed to feature the signatures of party agents and hence validate the process appeared to go missing, the pre-election murder of the respected IEBC ICT official Chris Msando – who NASA claims was killed because he was determined to run a high quality election – and the fact that the Commission unnecessarily declared Kenyatta the victor before it had effectively responded to opposition complaints. However, in the absence of an obvious “smoking gun” proving the exact extent of rigging, most observers expected the Supreme Court to rule in favour of the ruling party, as it did in 2013. Indeed, up to this point the elections confirmed to an established pattern: a heated campaign, a questionable process, a disputed result, a ruling party claiming victory, and an opposition protesting rigging. But that all changed when the Supreme Court took the unprecedented step of upholding the opposition’s complaint and ordering the IEBC to re-run the contest, stating that the election had not been conducted in a legal manner. This verdict made history as the first time that a court of law had overturned the election of a sitting president in Africa, and was immediately seized upon by opposition leaders and supporters as evidence that Odinga was the true winner of the poll. However, the implications of the Supreme Court’s verdict for Kenyan politics are unclear for two reasons. On the one hand, the Court has yet to deliver the explanatory text that will accompany its verdict and is essential to understanding why it ordered a “fresh” election and what changes to the electoral system will be required. On the other, although the Independent and Electoral Boundaries Commission (IEBC) quickly announced that it would organise the re-run on October 17, it is unclear whether the Commission has the credibility and capacity to deliver a good quality election within this time frame. Despite being short on detail, the Supreme Court’s decision suggests that significant reforms will be required – although it is not yet clear what these will be. Already, the opposition has rejected the new election date, complaining that it was arrived at without consultation. With the fate of the electoral commission in doubt, it is difficult to see a way in which the 2017 electoral process can be brought to a consensual conclusion. While the IEBC is poorly placed to deliver a free and fair election, it is also unfeasible to create a new election management body in the time available – 60 days – before the next election needs to be held. As a result, a succesful resolution to the presidential election is unlikely to emerge from the judiciary or electoral commission alone. Instead, it will probably require a political compromise based on a period of negotiation between the main candidates. The danger for Kenya right now is that the growing degree of political polarization in the country militates against such a process. The nullification of the result also generated other ambiguities. Having previously demanded that his rival respect the rule of law, President Kenyatta’s initial response to the result was consistent with his rhetoric. However, just hours after stating that he would abide by the decision, the president attacked the Supreme Court in off the cuff remarks, branding the judges “crooks” and pledging to “fix” the Court if re-elected. Kenyatta’s ill-advised comments undermined his claim to be the candidate best placed to maintain law and order and preserve political stability, and hence called into question one of the government’s main criticisms of the opposition – namely that it is a force of “disorder”. They also generated concerns that the ruling party intends to sway the Supreme Court’s judgement by intimidating judges and threatening the institution with post-election reform if it does not bend to the will of the executive. We have yet to see how the Supreme Court will respond to this provocation. In its initial decision, 4 judges voted to nullify the election while 2 expressed a dissenting opinion. The future trajectory of Kenyan politics will be profoundly shaped by the reasons that the four judges give for their verdict, the implications that this has for the IEBC, and the willingness of rival political leaders to come to an agreement on how to respond to the Court’s decision and move the political debate forward. This entry was posted in Africa, Kenya and tagged Kenya, presidential election on September 7, 2017 by Nic Cheeseman. The general election campaign is now in full swing. In some ways, it is heavily reminiscent of the 2013 polls: the presidential race will boil down to a contest between President Uhuru Kenyatta and Raila Odinga, and the cast of characters supporting each leader looks familiar. But a closer look at the campaigns reveals a number of important differences to recent elections. Both Odinga and Kenyatta have had to radically change the messages that they use to connect to voters as a result of changing circumstances over the past decade. As a result, both are casting around for a new way to frame their appeals – not always successfully. So what makes for an effective narrative? And what lessons can the 2017 campaign teach us about the state of Kenyan politics? One of the most common opinions I have heard when talking about the presidential race with friends and colleagues is that neither side has so far come up with a compelling narrative that resonates with voters. As Karuti Kanyinga has put it, the campaign seems to lack an organizing principle. Of course, elections are complicated things and can’t be reduced to just one issue. Not only does each party make a large number of promises, but different themes also tend to come to the fore in different places. However, these caveats notwithstanding, political communication tends to be far more effective when a range of appeals are effectively integrated under a common argument that voters can easily understand and identify with. In 2007, the dividing lines were clear. The Party of National Unity (PNU) represented the establishment and sought to preserve the status quo. By contrast, the Orange Democratic Movement (ODM) promised far-reaching constitutional reform, including devolution. As a result, debates over majimbo (regional government), and what majimbo would mean, came to dominate the campaign. This framing was ideal for Odinga, because it enabled him to appeal to a broad variety of voters through a single slogan. His supporters from different communities in various parts of the country did not have to agree on the most important issue for the opposition to address, because the promise of devolution was that each community would be able to elect its own leaders and set its own priorities. Partly as a result, Odinga came as close as he ever has to occupying State House. Things had changed radically by 2013. By the time of that election, the 2010 constitution had been introduced and devolution was becoming a reality. This took the wind out of Odinga’s sails: it is almost impossible to effectively campaign on something that has already been delivered. This did not stop the opposition from trying, arguing that the government could not be trusted to effectively implement devolution, but arguments about implementation usually have too many shades of grey to truly excite the electorate. Partly as a result, it was the recently formed Jubilee Alliance that gained momentum by pushing a message that established a new dividing line within the electorate. Rather than pro- and anti- majimbo camps, the election hinged on how voters felt about the candidature of Kenyatta and William Ruto – the “alliance of the accused” – and their prosecution by the International Criminal Court (ICC) for crimes against humanity. In this context, UhuRuto cleverly made sovereignty the key organizing principle of their campaign. While the Jubilee Alliance was presented as the defender of Kenyan interests on the world stage, the ICC and “meddling” foreign donors were depicted as neo-colonial imperialists determined to undermine Kenyan sovereignty. Carefully constructing a siege mentality around their Kikuyu and Kalenjin communities, Ruto and Kenyatta hit upon a powerful way to emphasise the dividing line between “them” and “us”. This narrative was particularly important for Kenyatta because it helped to compensate for some of his potential weaknesses as a candidate. There were two big dangers for the president in the run up to 2013. The first was that his vast wealth would make him vulnerable to an opposition campaign focussing on inequality and land alienation. The second was that he would struggle to mobilize support within his own community following his poor showing in the 2002 election when he was widely viewed to be a puppet of the Moi regime. Against this backdrop, Kenyatta’s prosecution by the ICC was an electoral boon. In addition to emphasising his claim to be a defender of Kikuyu interests, and so rehabilitating Kenyatta within his own community, the campaign’s focus on sovereignty enabled Jubilee to deflect attention away from more problematic issues. The challenge for both Odinga and Kenyatta in 2017 is that their most effective campaign slogans of the past are no longer relevant. On the one hand, Odinga’s team will sound tired and repetitive if he speaks too much about devolution, especially as it doesn’t seem like the government has any plans to close down the counties. On the other, Kenyatta’s camp can no longer hope to engender a siege mentality because the International Criminal Court proceedings have gone away and international donors have been careful to play a less interventionist role. President Kenyatta’s team was quick to recognize this, and responded by rotating their campaign through 180 degrees. Whereas Jubilee’s message in 2013 was divisive and confrontational, more recently the government has used its transition from a coalition to a party to push the idea that it is an inclusive party ruling in the interests of all. The main slogans that Jubilee has adopted – Tuko Pamoja, Building a better Kenya, and so on – all reflect this change of focus. For their part, the Odinga camp have fallen back on classic opposition tropes that are used by parties around the world, emphasising the value of change and the strength of their support base in an attempt to persuade Kenyans that victory is possible. The catchphrases used by leaders of the National Super Alliance (NASA) – Ten Million Strong, Vindi Vichenjanga, and so on – all speak to this theme. But while both sides have clearly thought long and hard about their messaging, neither has yet hit upon a narrative that resonates beyond their heartlands. Although they will deny it in public, this point is understood by the public relations teams working for Jubilee and NASA – some of whom are starting to worry. Given this, it will not be surprising if the limited penetration of leaders’ slogans inspires a change in the way the campaign is fought over the next month. As the candidates scramble to capture swing voters and make sure that their supporters go to the polls, the amount of money spent on vote buying, and the amount of time devoted to negative campaigning, is likely to increase. What does this tell us about Kenyan politics? The struggle of both sides to effectively frame their message tells us something important about Kenyan politics: ideas matter. Why else would the government be spending so much money on hiring foreign consultants to help them get the message right? Some people will be very resistant to this argument. They will say that Kenyan politics is all about ethnicity and that all you need to be able to do is add up the size of the different communities and you can tell who is going to win. But while this is a popular refrain, it is not – and never has been – entirely true. Ethnicity is, of course, one of the most significant building blocks of Kenyan politics, but it is not the only one. Even if people are predisposed to support you because of your ethnicity, mobilizing voters is harder if you fail to capture their hearts and minds. As Musalia Mudavadi found to his cost in 2013 when he failed to secure a majority of votes in Luhya areas, ethnicity does not get you very far if you don’t have credibility. Ngala Chome’s analysis of the success of Mike Sonko demonstrates this point well: Sonko lacks “significant ethnic capital” in Nairobi, yet this has not undermined his rise to power. The electoral fortunes of Kenyatta and Odinga are further evidence of the importance of ideas. Getting the message right helped to turn Uhuru from a political also-ran into the president, while Raila’s most rhetorically effective campaign was the one in which he out-mobilized a sitting president. It is important to note that this argument should not be taken to imply that politics in Kenya is driven by ideology or that voters spend their time reading party manifestos. Successful messages often resonate precisely because they play on pre-existing stereotypes and tap into the hopes and fears of specific communities. In this sense, the power of political ideas cannot be separated from the underlying reality of ethnic politics, gives them their strength. However, the fact that ideas, messages and identities are deeply intertwined does not mean that the ideas themselves are not important, or that politicians can win elections without them. Nic Cheeseman (@fromagehomme) is Professor of Democracy at Birmingham University. This piece was first published in the Sunday Nation. This entry was posted in Africa, Kenya and tagged Kenya, presidential election on June 29, 2017 by Nic Cheeseman. The Kenyan President Uhuru Kenyatta has moved to deal with rising food prices as the campaign ahead of the 2017 general election begins in earnest. Having been accused of “dithering” earlier in the year as the price of unga (maize flour) increased by 500 KSh a month to KSh 4,500 for a 90 kg bag, the government moved to import 29,900 tonnes of Maize in order to reduce prices in early May. President Kenyatta’s actions reflected growing public dissatisfaction with the rising cost of living and the growing challenge from the political opposition as the August 8 general election draws near. Having enjoyed a big lead in the polls for many months, many commentators felt that the Jubilee Party could secure comfortable victory, especially as the main opposition coalition, the National Super Alliance, appeared to be split on whom to select as its running mate. Along with long-time presidential candidate Raila Odinga, Kalonzo Musyoka and Musalia Mudavadi were said to be determined to emerge as the coalition’s flag bearer. However, ultimately Odinga managed to pull off a double-win: securing the nomination as NASA presidential candidate and persuading his rivals for the position to back him. In turn, the emergence of a more united opposition has generated much-needed momentum for Odinga, leading to claims that he is once again a viable presidential candidate. One of NASA’s campaign slogans, “10 million strong”, seeks to emphasise this point, referencing the potential support base that Odinga can mobilise if all the communities assumed to be allied to the opposition vote for him – though this is far from a forgone conclusion. While the most reliable opinion polls suggest that Kenyatta and his Jubilee Party continue to enjoy a healthy lead, the fresh energy within NASA, combined with rising food prices, have worried the Jubilee Alliance. In some of the more recent polls, the confirmation of Odinga’s candidacy has significantly strengthened his performance, and as a result he has moved from the 25/26% a few months ago to around 41% today. Having initially aimed for an overwhelming electoral performance of 60%+ in the presidential poll, Jubilee leaders are now concerned that if Odinga continues to gain ground they may struggle to secure the 50% +1 of the vote required for a first round victory. Given the excitement within NASA, and the concern within the Jubilee Party, Kenya may be set for a closer and more controversial election than seemed likely a short while ago. This entry was posted in Africa, Kenya and tagged Kenya, President Kenyatta on May 18, 2017 by Nic Cheeseman. On 8 September 2016 twelve parties allied to the president formally dissolved themselves to form the Jubilee Party. The new ruling party differs from the previous Jubilee Alliance coalition in that it will have a common leadership hierarchy and will run a single slate of candidates in national and sub-national elections. This promises to give President Uhuru Kenyatta a significant advantage in the upcoming elections and has the potential to transform the dynamics of Kenyan politics. Although the number of parties that have merged into the Jubilee Party is impressive, it is important to note that many of them are bit-part players, and around half have no legislative representation at all. However, the decision of party leaders to merge is nonetheless significant because it promises to change two key aspects of Kenyan politics. In the past, there has been a tendency for parties that are members of the same coalition at the presidential level to run candidates against each other at the legislative and county levels. This has caused large coalitions significant problems, as it has often diverted energy and attention away from the contest with rival coalitions at the national level. By forming a common political machine, the Jubilee Party will avoid this kind of internal competition, and will be able to achieve considerable efficiencies in terms of its campaign strategy and finance. Moreover, if the party is a success, it will become the largest political party in Kenya since the days of the one-party state. Charles Hornsby, a well-respected commentator on Kenyan politics, has estimated that a spate of recent defections means that Kenyatta is now supported by around two-thirds of the National Assembly. The Jubilee Party also has the potential to change the way that election campaigns play out. Historically, rival leaders swap coalitions ahead of national polls, trying to maximise the position they can get based on their profile and support base. This process depends on both of the main coalitions – the last three elections have boiled down to a two-horse race – being fragile and weak, such that leaders face few disincentives to leave one alliance and join another. 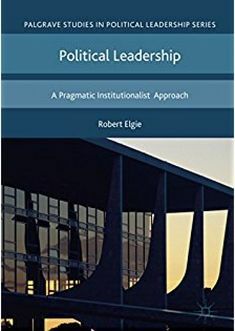 Typically, the political merry-go-round is triggered by one leader swapping sides, which creates a vacancy that other leaders mobilise to fill, leading to a new vacancy, and so on. Should the Jubilee Party succeed in establishing a strong and stable party, it will mean that leading figures from other coalitions will have nowhere to go, encouraging them to stay put. In other words, Jubilee’s unity may impose a degree of stability on the opposition, curtailing the process of party hopping. The foregoing analysis raises a critical question: can the Jubilee Party hold together? Forming a political party is far easier that maintaining one. Traditionally, Kenyan parties and coalitions struggle to make it through party primaries because losing candidates defect to run on other tickets. This leads to a proliferation of political parties, intense internal competition at the local level, and diverts attention away from the national campaign. In 2007, for example, it is estimated that Mwai Kibaki’s Party of National Unity lost about 10 legislative seats to the opposition because different leaders allied to Kibaki divided the vote at the constituency level. President Kenyatta and Deputy President William Ruto are certainly pulling out all the stops to protect the party from defections. On the one hand, they are said to be deploying a wide range of the carrots and sticks at the party’s disposal, and will both provide funding for the campaigns of those who win the primaries and “soft landings” for those who lose. On the other, new legislation is being introduced that would ban party hopping 90 days before an election and would require the Independent Electoral and Boundaries Commission to oversee primary polls in a bid to give them greater legitimacy. This impressive array of informal and formal levers may prove sufficient to keep most leaders within the Jubilee Party in the run up to the 2017 elections, especially given the momentum behind President Kenyatta’s campaign. However, whether it will bind the party in the future is another question. One of the main beneficiaries of these recent developments is Deputy President William Ruto, who faces an uphill battle to replace Kenyatta ahead of the 2022 polls, when term limits will force the president to stand down. The problem Ruto faces is that many of Kenyatta’s supporters do not trust him or wish to see him presiding in State House. Instead, he is viewed by many of the president’s allies as a necessary evil: a partner required to defeat Raila Odinga and the opposition in the short-term, but a dangerous ally and one that is expendable when the threat has passed. The formation of a stronger ruling party may help Kenyatta to assert his authority, and to line up his backers behind Ruto when the time comes. However, it seems more likely that the Jubilee Party will only survive so long as Kenyatta is there to hold it together, and will begin to come apart at the seams once the succession battle begins to heat up from 2018 onwards. This entry was posted in Africa, Kenya and tagged Kenya, Political party, President Kenyatta on September 15, 2016 by Nic Cheeseman. President Uhuru Kenyatta is not a leader inclined to sacrifice his allies in return for an easy life. Indeed, personal loyalty has been one of the trademarks of his time in office. When faced with calls to replace the Cabinet Secretaries (Ministers) responsible for national security following the government’s poor response to the Westgate terrorist attack, he held firm despite widespread domestic and international criticism. He has also remained loyal to Deputy President William Ruto, despite the fact that many people from Kenyatta’s Kikuyu community would like to see his Kalenjin running mate sidelined now that the threat of prosecution at the International Criminal Court – which is what initially brought the two men together – has ended. What is not clear, however, is whether this is a commendable trait born of a deep personal commitment to friends and colleagues, or a stubbornness that means that he fails to respond effectively to institutional and individual weaknesses. There are certainly a number of instances in which President Kenyatta’s refusal to compromise appear to have had more to do with what is politically expedient than friendship. Take the example of the Independent Electoral and Boundaries Commission (IEBC). Despite failing to effectively manage the 2013 election and having presided over a body that has been found to have suffered from widespread corruption (procurement scams were rife in the interim IEBC that preceded the current Commission), Chairman Ahmed Issack Hassan is still in place. In May, with the next general elections 16 months away, the lack of reform of the IEBC became a target for mass opposition protests organized by the Coalition for Reform and Democracy (CORD). These weekly events led to considerable unrest in downtown Nairobi and also in Kisumu and Siaya. The response of the state was brutal: in Nairobi police have been recorded beating and stamping on isolated protestors who were lying face down at the time. In Kisumu and Siaya, the police used live rounds, resulting in the deaths of at least three people. In turn, the violent repression of the protests – in contravention of the Bill of Rights in the 2010 constitution – has led to a further polarization of the political debate. In defending his position, President Kenyatta has fallen back – as he often does – on the need to follow and protect the rule of law. On this account, the opposition protests are unruly and a threat to national unity: they therefore do not constitute a legitimate way in which to force a change in the composition of the electoral commission, and merit a hardline response. However, despite this stance Kenyatta and other leaders within the Jubilee Alliance agreed to open negotiations with CORD leader Raila Odinga towards the end of May. This move appears to have been driven by two developments. First, the opposition announced that it would postpone its protests for two weeks to make space for national dialogue. Second, CORD’s tactics appear to have significantly increased the pressure on the government – from donors, local businessmen, and civil society – to find an inclusive solution to the problem of the IEBC. So far, the talks – and a parallel process running in parliament through the Justice and Legal Affairs Committee – have yielded some progress. There is now an agreement that the next set of Commissioners will be appointed by a committee that will feature two representatives selected by the government, two by the opposition, and a further three who will be appointed by the Public Service Committee. At the same time, the deadline for election petitions to be submitted has been increased from 14 to 30 days. This is important, because it makes it more likely that the opposition will be able to put together a viable case, and hence more likely that they will pursue their complaints through the courts rather than on the streets. However, so far there has been no agreement on the most important issue: whether the Chair and other figures who presided over the 2013 debacle will be replaced ahead of the 2017 elections. This is the critical issue in terms of rebuilding the trust of the opposition in the electoral process. If President Kenyatta’s reputation is anything to go by, this is likely to be a compromise that he will resist as long as he can. Which means that further opposition protests and urban unrest cannot be ruled out. This entry was posted in Africa, Kenya and tagged Electoral Commission, Kenya on June 2, 2016 by Nic Cheeseman.